Paul S. Lewis - Gimmel, Weiman, Ersek, Blomberg & Lewis P.A. Paul Lewis, Esq., a partner with the Firm, has practiced law in the Greater Washington Area for nearly 40 years. During this time he has successfully represented thousands of clients who have faced a wide variety of legal problems. Paul earned a B.A. with Distinction from the University of Virginia in 1973 and his J.D. from the Wake Forest University School of Law in 1976. 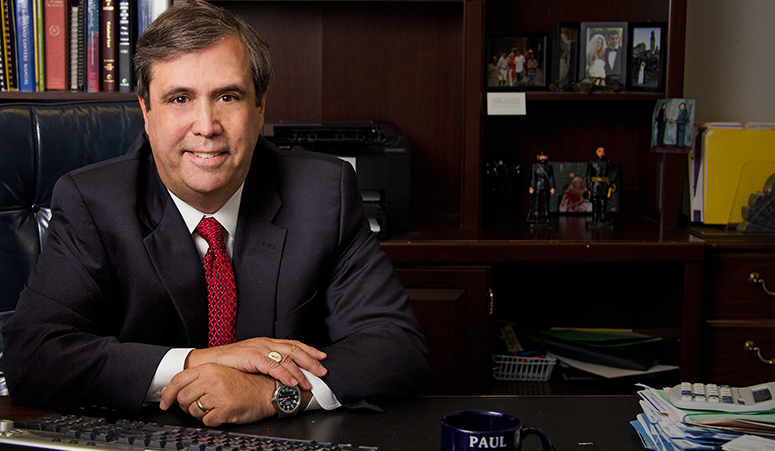 As an Assistant State’s Attorney for Montgomery County, Maryland, Paul handled prosecutions at every level of the criminal justice system, including simple misdemeanors, violent street crime, DUI arrests, traffic matters and white collar crime. He now brings this experience to the defense of those citizens charged with such offenses, appearing regularly in Courts throughout Maryland and in the District of Columbia. Over the years Paul has been a regular contributor to the Montgomery County Bar Association serving on its Executive Committee, Fee Arbitration Committee, the Unauthorized Practice of Law Committee, and the Peer Review Committee. His involvement in the community has focused on volunteer service and he has been honored to serve as an officer of a nonprofit organization.